Earlier this month, the Experience Synergy event featured several leaders sharing their personal experiences with building a Synergy business. They shared product stories, advice on earnings, and even answered questions from customers and new Synergy Team Members. Double Presidential Executive, Dianne Leavitt opened Experience Synergy by sharing her passion for the Synergy business. Not only does she love and believe in the power of the products, but she also knows the potential of the business. She shared a deeply personal account of a family struggle a few years ago that she was able to take time away from her business to be with her family and how much that blessed her life. The Synergy business is unlike any other and she expressed how grateful she was for it over and over. Team Leader Dan Hammer has a talent for sharing ProArgi-9+ with everyone he comes in contact with. After learning his top five talking points with potential Team Members/customers, it's no wonder he is able to promote its power so easily. 1. ProArgi-9+ is printed in the Physicians' Desk Reference. He encouraged those in attendance to memorize how the PDR refers to ProArgi-9+ as, "the highest quality l-arginine supplement in the world." Understanding that this is the go-to reference for medical professionals to learn about and prescribe medications is powerful when talking about ProArgi-9+. 2. ProArgi-9+ has been clinically-studied by scientists at the Hughes Center for Research and Innovation. They have made several remarkable discoveries on Synergy's ProArgi-9+ formula, showing that ProArgi-9+ can rapidly increase nitric oxide and that it inhibits myeloperoxidase. 3. ProArgi-9+ must pass 262 individual quality control tests before it's approved and released for consumption. From raw materials to the finished product, Synergy knows exactly what's in its product and that is an important aspect of our quality assurance that we should be touting. 4. ProArgi-9+ is backed by a 120-day money-back guarantee. There's no risk associated with trying this product. So, share it with everyone! After 18 years with Synergy, Presidential Executive Dane Iorg knows a thing or two about the Synergy products. In fact, he has recently lost some stubborn body fat, and attributes the success to replacing some daily meals with Biome Shake. He says Biome Shake keeps him from feeling hungry throughout the day, and has changed his gut microbiome, leading to feel better overall. He said, "We should do something for our gut every day." And that "something" for him is drinking the Biome Shake. While he said he loves all Synergy products, and has used the complete Purify Kit and its contents on a regular basis, Biome Shake seems to be the product that makes the most difference for him. As a Triple Presidential Executive, Mark Comer has seen a great deal of success, and he shared some of his best advice to help others achieve the same. "An emotional experience for a Team Member is what is going to make them lifelong business builders. 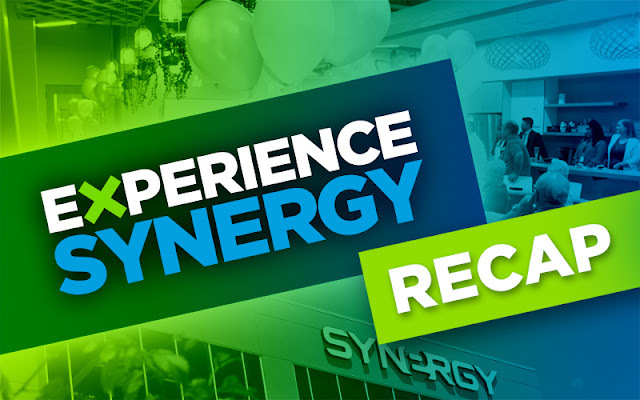 As Synergy leaders, we must help them experience what Synergy truly offers: powerful products that give incredible results and an unbeatable compensation system." 1. Have your own product experience. 2. Share your experience with others. 3. Follow up with those who are using the Synergy products to build a relationship. 4. Talk about the business opportunity once they have tried the products, had their own emotional experience with the products, and once you have built a relationship with them. Helping others gain an emotional experience with Synergy will help them work hard and never give up. He talked about Korea's success based on this model of helping others have an emotional experience with Synergy, which has brought Korea tremendous success. "We have the opportunity to create a great livelihood for our families," said Mark, "and we have unique products to change lives." Not only is Presidential Executive Rudy Pedroza a successful Synergy leader, but he's also an incredibly motivating speaker. He started by talking about the question he gets the most: "What was the magic dust that gave you so much success with your business?" His answer is always, "Consistency. Consistency changes the game forever." The Synergy opportunity is something that he leads with when talking to others, and he has found a lot of success that way because, as he says, "There's no better business in this country that has residual income like Synergy WorldWide." And that is something to shout from the rooftops. Inviting others to experience the Synergy opportunity should be 90 percent of a Team Member's activity, according to Rudy. Being consistent with inviting makes all the difference between success and failure. Rudy asked those in the audience to envision their "why," so that they could see their goals. Whether it is to buy a house, make a little extra money for a vacation, retire early, or own a yacht, when you envision your goals, you can generate a greater "why" for all your hard work. "When your 'why' is big enough, you will find your 'how,'" said Rudy. Steve Seely understands what it takes to build a Synergy business, and he briefly shared how the new and updated sales and training tools can be used to take your business to the next level. These tools not only provide quality information on the company, products, and programs, but they also help you share this information in user-friendly, printable formats. As Team Members utilize these tools and resources, they can help their businesses grow and easily share the message of Elite Health with everyone they come in contact with.